Sake in a goon box? Say it aint so…. I hate to be a snob but, I’ve got a thing about alcoholic beverages in cartons or cardboard boxes. Yeah, it reduces costs and can be economical for both producer and consumer but it just aint cool. Since the seventies (I think) Australia has been the land of cask wine aka “goon sacks”, originally thought to be clever but now a symbol of sub-par wine made for mass consumption most likely to be spotted at an underage teenagers party or under the bench of your local homeless dude. Harsh, but true. Oh sure, there are some people out there who do actually buy the stuff because they aren’t fussy about flavour and it is more economical but I feel they’re in the minority. Fact is goon sacks are mostly for getting smashed. So, it took a fair bit of putting prejudices aside for me when it came to trying Hakushika Junmai Ginjo served from a 900ml carton. Japan also has a tradition of carton packaged alcohol. 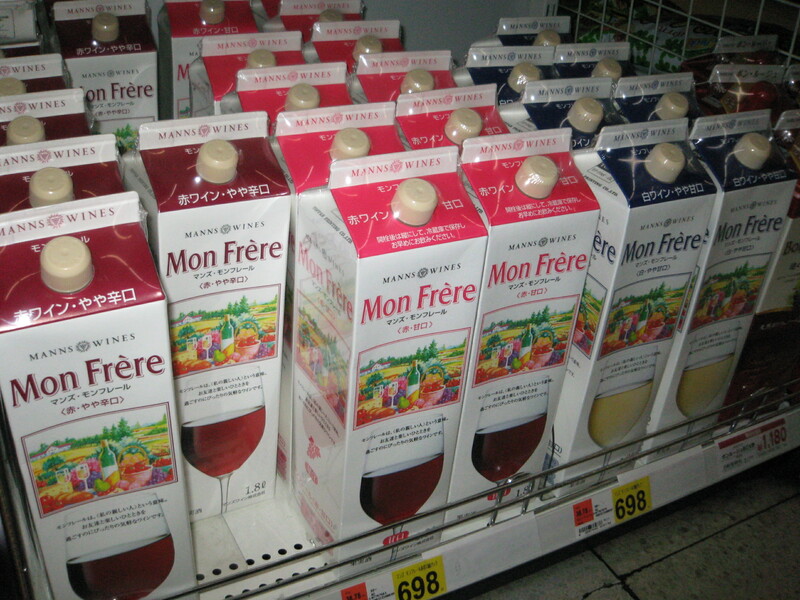 Wine in 1.5 litre cartons are a common sight in supermarkets and true enough, cheap futsu-shu (regular sake) has been available in similar cartons for years. But premium ginjos? Come on, lets have some class. 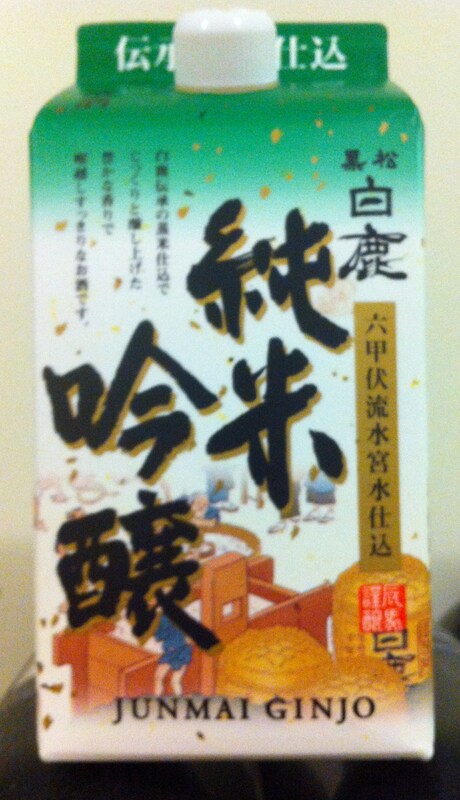 Hakushika, along with some of the other big producers of sake have started packaging ginjo and even daiginjo in cartons. Environmentally friendly? Maybe. Appealing? Not really. Japan’s breweries are brewing better sake than ever before, sake quality is at its peak. Why then cheapen the image and put it in an oversized milk carton? In fine dining restaurants around the world, sake is creeping on to wine lists as diners begin to appreciate and respect sake as a fine, complex beverage. This is a brew that can top some of the finest wines when food-matched appropriately. But are we ever going to see cartons of sake on a dining table? Doubt it. Maybe I’m over-reacting (I often do), but this is a delicate time as sake emerges as a contender on the dinner table and I can’t help but feel as though sake in a box is a step backwards. For the record, Hakushika Junmai Ginjo from a 900ml carton tasted fine. The interior of the box is aluminium lined and the flavour is unaffected. I’ll even admit that at 800 yen (around $10) it’s a goddamn bargain. But this is about more than money, this is about SAKE! Posted on April 14, 2012, in sake and tagged Hakushika sake, pack sake, sake australia, sake packaging、白鹿. Bookmark the permalink. Leave a comment.